Still need to choose sentimental birthday quotes for someone special, someone who loves heartwarming birthday cards, eCards or texts? You're in luck. On this page, I have more sentimental birthday sayings, sandwiched by personal birthday messages (done for you, so you don't have to do them yourself). 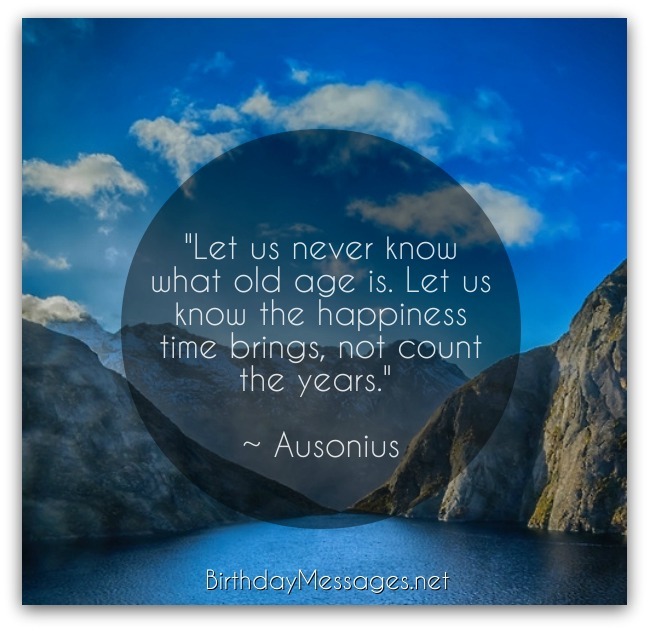 All the personal birthday wishes go nicely with the sayings here, showing the birthday boy or girl you care enough to send an extra-special birthday message. Shouldn't every day of the year be like the opening day of any baseball season? And every day should be like your special day. Hope you have a wonderful birthday and year. "Childhood itself is scarcely more lovely than a cheerful, kindly, sunshiny old age." Forget about our youth and look forward to our sunshiny future, starting on your special day! This quote reminds me that you can have everything, even with practically nothing. "On her birthday, my seven-year-old daughter will say that she wants these big cakes and certain expensive toys as presents, and I can't say no to her. It would just break my heart. But when I was little, for birthdays we just played outside and we were happy if we got any cake." Cake and all our loved ones would be perfect. Hope you have both in abundance on your birthday! You're the best vintage...sweet, sometimes dry and always delicious. Happy birthday! Every once and awhile, it's good to be reminded that life is short...and sweet. So keep your eye on the prize...your happiness, your loved ones, life itself. Happy birthday! "I'll tell you, there is nothing better in life than being a late bloomer. I believe that success can happen at any time and at any age." You've always been a success to me. Happy birthday! The only time that matters is the time you spend with loved ones. 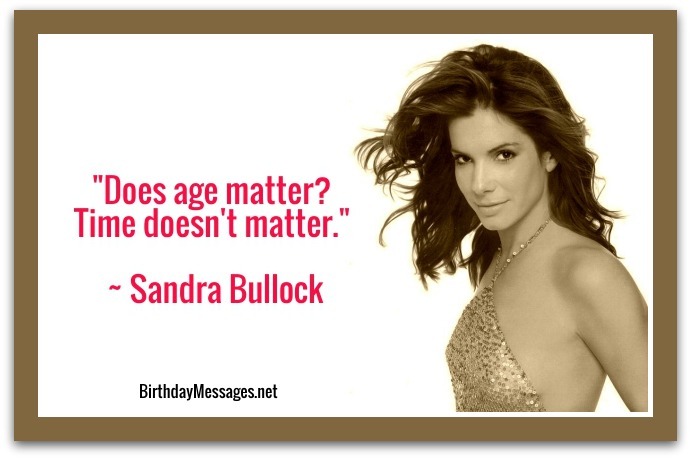 "Does age matter? Time doesn't matter." May you be blessed with lots of time with loved ones and, whenever possible, your hammock. This is one of my favorite sentimental birthday quotes because it's sentimental and inspirational at the same time. It's also very simple, making it easier to swallow for anyone getting older. "I awake each day with the new sunrise. 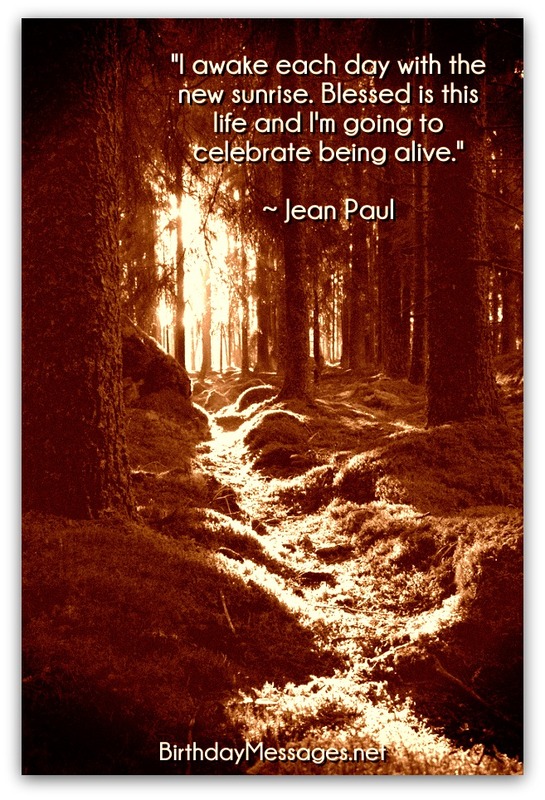 Blessed is this life and I'm going to celebrate being alive." May you be blessed with a wonderful birthday and many more sunrises. 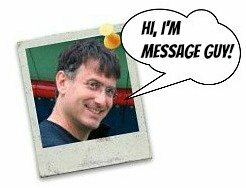 Need to look at more quotes? "They that have lived a single day have lived an age." Living each day like it's your last may not be too practical but it must be fun! Have the best-ever special day! The next time someone says, act your age, tell them it's more fun to be young at heart. "At the age of four with paper hats and wooden swords we're all Generals. Only some of us never grow out of it." As the song goes, stay forever young. It suits you. Happy birthday! "I think it's your mental attitude. So many of us start dreading age in high school and that's a waste of a lovely life. Oh... I'm 30, oh, I'm 40, oh, 50. Make the most of it." I'd be happy with a quarter of her success and happiness. Wishing you 100% of her success. Happy birthday! "Everybody looks like clones and the only people you notice are my age. I don't notice anybody unless they look great, and every now and again they do, and they are usually 70." You are beautiful to me! have an amazing birthday! May you always follow your bliss... today (on your birthday) and every day! May you only find happiness all your days, especially today, your birthday!